This discussion will last approximately 45 minutes. 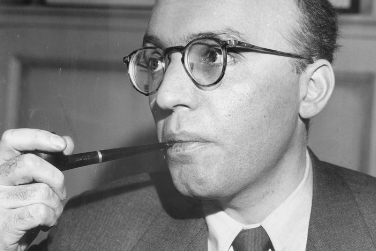 Written over several years starting in 1934, Kurt Weill’s immense oratorio, The Road of Promise, was born from the darkness of the world in the 1930’s. Set during the “timeless night of Israel’s persecution,” a congregation seeks shelter in the synagogue, turning to their Rabbi who recounts iconic stories from Jewish scripture. We see the effect these accounts have on two individuals at vastly different points in their life, the 13-year old boy and the Adversary. As we travel through these narratives, we witness and experience a transformation that points their way forward. In our pre-performance discussion, a diverse panel of artists and scholars discuss the historical context in which The Road of Promise was created, how this piece resonates today, and the common ground all communities share in a story that seeks to find a way forward. Join us for the performance: Kurt Weill Festival: The Road of Promise at 7:30PM.